TULSA, Okla. (AP) – Former New York Mayor Michael Bloomberg has announced a $1 million gift to The Greenwood Art Project in Tulsa. 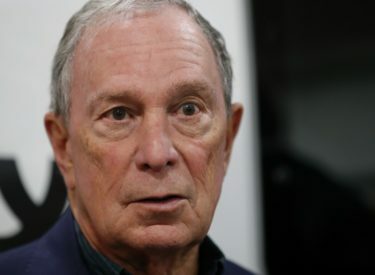 Bloomberg, a potential candidate for the 2020 Democratic presidential nomination, announced the gift Tuesday from the Bloomberg Philanthropies 2018 Public Art Challenge . Bloomberg will join Tulsa Mayor G.T. Bynum and artist Rick Lowe on Thursday to reveal more details. Bloomberg also will meet in Tulsa with Moms Demand Action volunteers and survivors of gun violence. The Greenwood project will include temporary public artworks commemorating an area of Tulsa known as Black Wall Street, which was largely destroyed during deadly racial violence in 1921. Estimates of the number of dead vary widely, from about three dozen to 300 or more. The 1921 Tulsa Race Massacre Centennial Commission is a partner in the project.